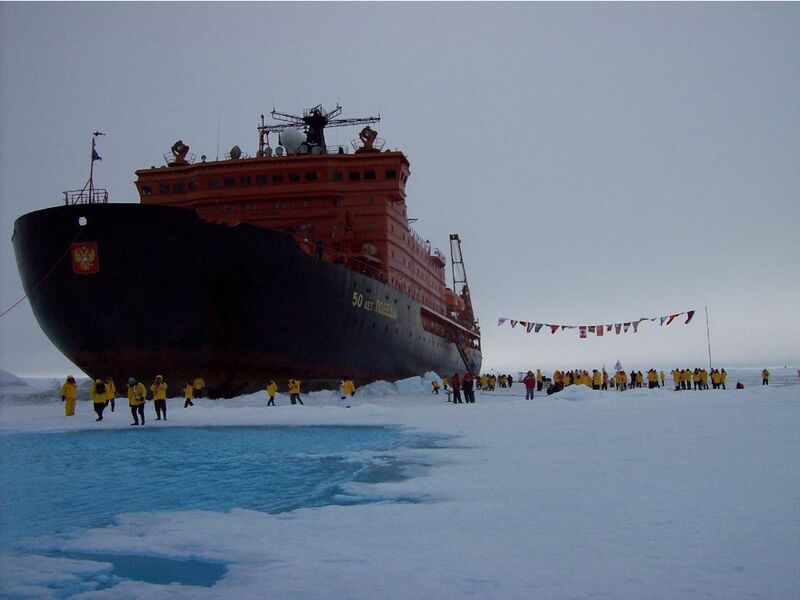 Photo: People stand in front of a huge ship as it sits in the ice. Passengers on the Russian ship "50 Years of Victory" enjoy a cookout at the top of the world—the North Pole. Icebreakers like this one, run on nuclear energy, are one of the few ships powerful enough to cut through the thick ice at the North Pole.